You won’t find a local accountant friendlier or more professional than us. We offer up front fixed fees so there's no hidden costs or nasty surprises. We are flexible accountants who are more than happy to come to you. DNT Chartered Accountants is one of the Province’s leading independent firms of chartered accountants and business advisers. Based in Belfast, the majority of our clients are based in Northern Ireland but we also deal with clients in The Republic of Ireland, Great Britain, North and South America, Europe and Australia. Our team contains chartered accountants, chartered tax advisers, trust and estate practitioners and members of the chartered institute of personnel development. We have developed an unrivalled reputation for proactive tax, business planning and advisory services, which go far beyond traditional accountancy and compliance work. We can work with you to identify strategies that will help your business succeed, and to make your personal wealth work for you and, of course, minimise your tax burden. To discuss how we can assist you further, or to arrange an initial consultation, please contact us. We look forward to hearing from you. Read updates about the Northern Irish Economy written by Richard Ramsey, Chief Economist at the Ulster Bank Belfast. Read our “No Deal Brexit” planning update. 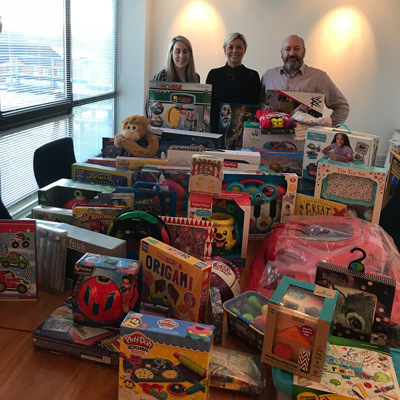 Thank you to all of the staff & clients that took part in our Mission Christmas Appeal for Cash For Kids, providing presents to disadvantaged children throughout Northern Ireland. DNT Chartered Accountants are supporting the Nepal Earthquake Appeal through the British Red Cross. 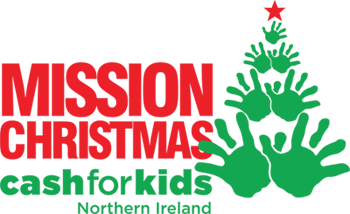 We are delighted to announce that we have nominated Cash For Kids as our Charity of the Year..
We will be taking part in various events throughout the year & holding our own fundraisers to raise money for this excellent cause... photos & more information to follow. Register and once a month we’ll send you an email packed full of essental business news and handy tax tips. Our experience and knowledge means that we understand the specific challenges businesses face. Contact DNT Chartered Accountants today via phone, email or enquiry form and see how we can help you!.